The Lake Carey Inn (north of Tunkhannock) offers a unique spin on trivia contests with Game Show Nite, which started in February. DJ Retro Rick (above) selects contestants who vie for prizes in a variety of ways that lead to a final round and a new grand prize each week. Owing largely to the popularity of online trivia contests like Facebook’s Trivia Crack, barroom Trivia Nights were suddenly popping up on the schedule at area drinkeries like daffodils on the first warm day of spring. At the Lake Carey Inn, off Route 29 north of Tunkhannock, Wednesday nights have been set aside for a unique weekly audience participation event that combines wacky elements of TV games shows from days gone by with simple question and answer rounds covering a wide array of topics. 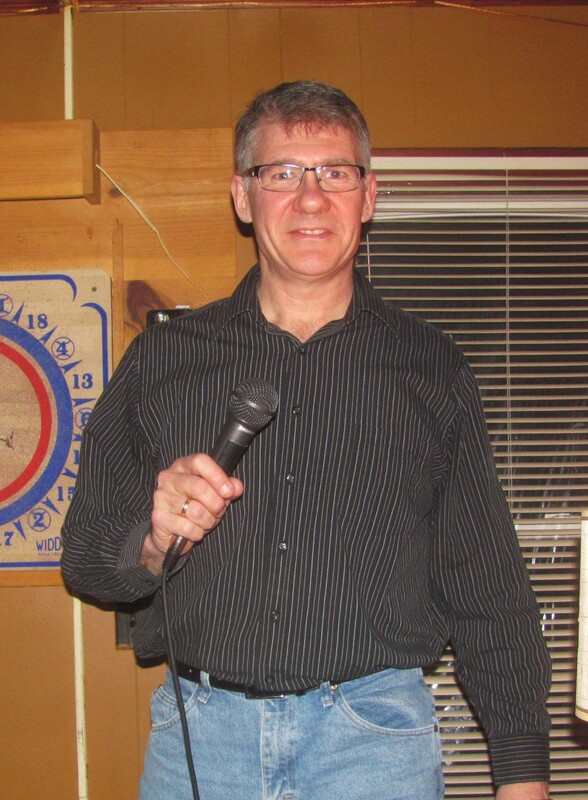 “I don’t like to do anything traditionally,” said Lake Carey Inn manager Lisa Richardson, who challenged DJ Retro Rick (AKA – Rick Hiduk) to bring something different to LCI that can evolve, as the number of patrons grow, and engage customers in a variety of ways. 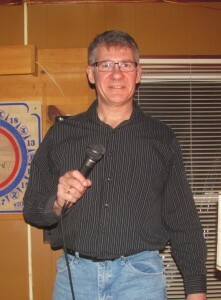 Rick provides background music and game show ambiance from 7 to 10. The rounds of categorical questions and other contests begins at about 7:30. Smaller prizes are awarded to the winner of each round, and winners are asked to stay for the final round near 9:30. The incentive to hang in there, of course, is to vie for that evening’s grand prize, which will be announced throughout the evening but is not a prerequisite for playing a single game and winning smaller prizes along the way. Games vary from week to week, and the show can be modified to accommodate the size of the crowd at hand or even the median age of those in attendance. Patrons are welcome to request songs to be played during the musical segments between rounds. In addition to trivia questions on a variety of topics, games may include other activities like contests requiring agility, couples trying to predict their partners’ responses to intriguing questions, a round of Truth or Dare, or maybe a sing-off. 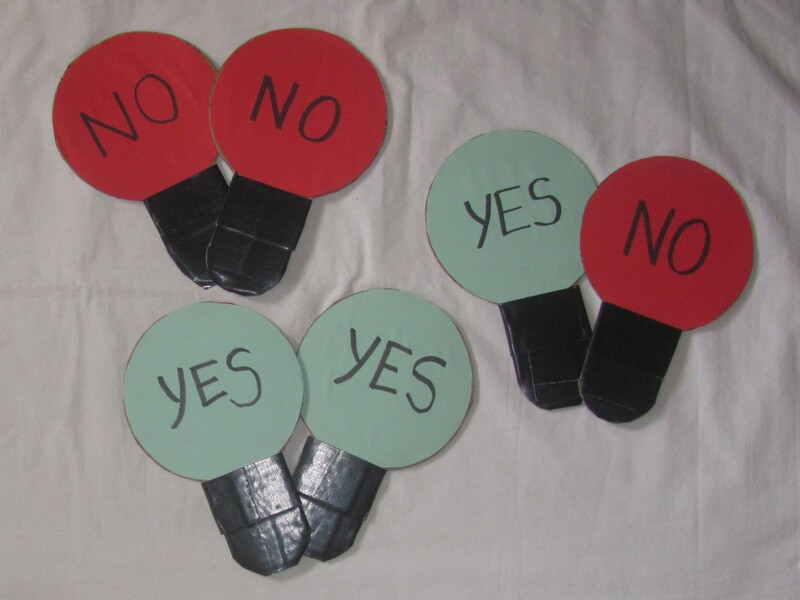 While some games might require wit, stamina, or balance, other rounds may yield winners purely by chance or simple choices. “I loved watching game shows as a kid,” Rick related. “I produced mock ups of variety shows and radio programs for my friends as a kid, as well as a tape recorded episode each week of Towanda Bandstand.” In other words, Rick is saying that he is well-rehearsed. Contestants and audience members both new and frequent suggest that Game Show Nite is one of the most unique bar experiences they’ve had. Rick has lots of new ideas in his bag of tricks, some suggested by patrons, and others stumbled upon in the course of modifying prepared games to suit the size and dynamics of the crowd. “There’s almost always more time put into planning for the night than the three hours people see at the bar,” he noted. “It’s fun and different. I look forward to going every week,” said Karolyn, who won two PA lottery tickets recently that netted her $30. “Game Show Nite is a good night to get out with friends and have some fun and maybe win a cool little prize,” Kory remarked, after winning some peculiar items in the final round after previously winning a couples contest wit Stef. At the Lake Carey Inn, Game Show Nite is adult-oriented. While not at all vulgar, some contests are at least a little suggestive.